Please contract Ronin for special instructions BEFORE ordering this product!!! 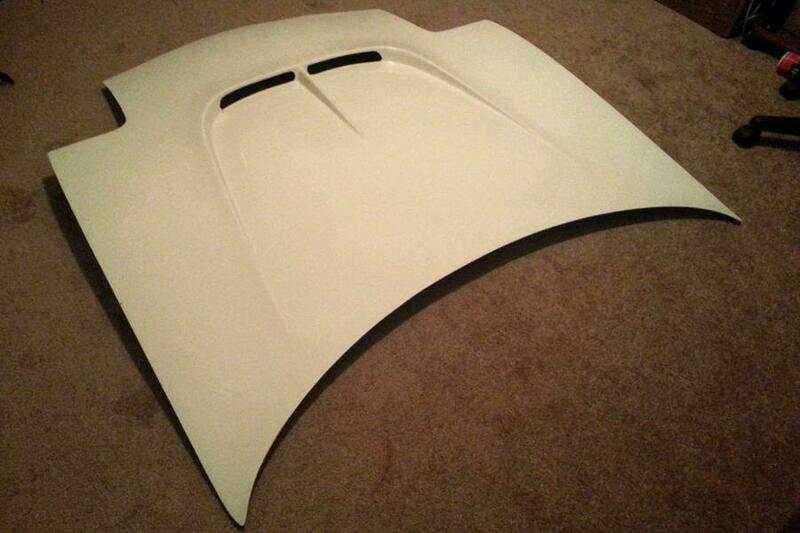 Fiberglass Ronin Reverse cowl hood (Mazdaspeed design) for the FD. Stock fit, quality constuction in the USA, low prep. Cool your engine bay and improve performance while increasing reliability. This price is for one FD hood in Fiberglass material. Shipping cost includes a custom box and meticulous packing. 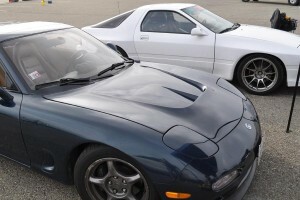 Ronin Reverse cowl hood patterened after the original Mazdaspeed hood design after it was discontinued. 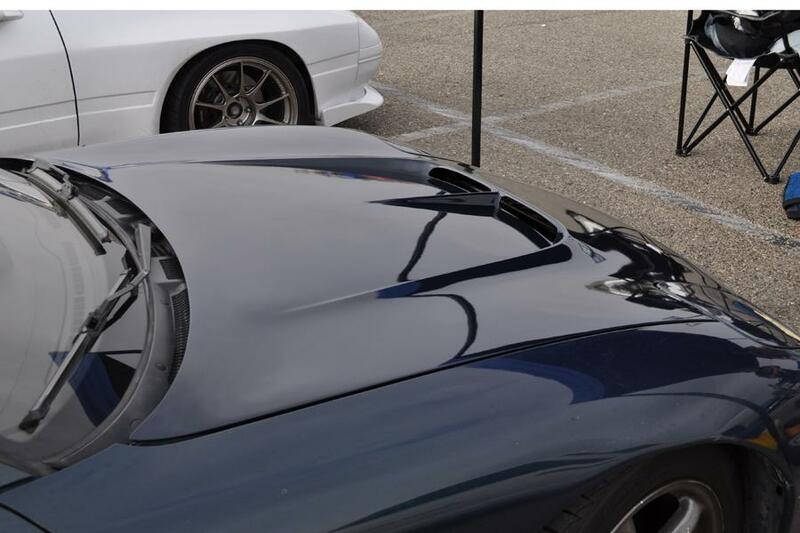 This hood was extensively wind tunnel tested and race proven. The profiling and vent uses the same low pressure location specified by Mazdaspeed. Vents are located to balance making use of this low pressure zone on the hood while being far enough aft to draw the hot air from the radiator and expel through the hood. 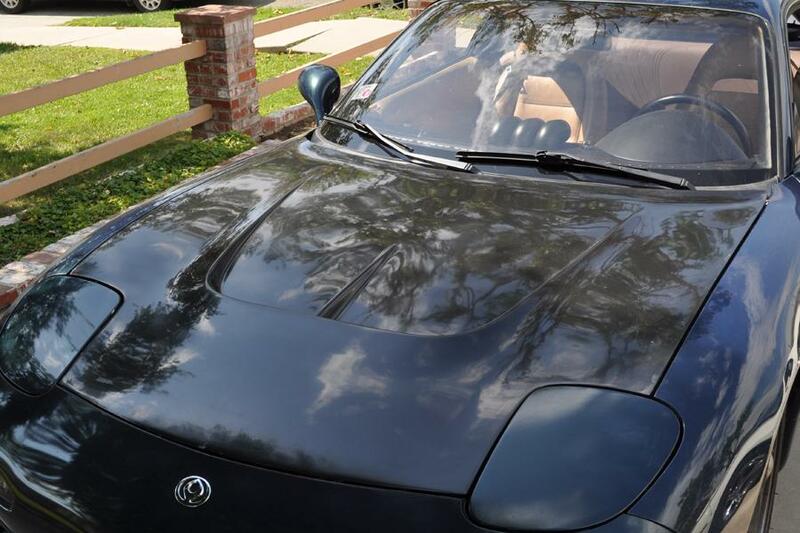 Our hood molds were created from scratch using a stock RX7 hood with the vent grafted in for the best fit possible. Each hood is hand crafted in the USA, from high quality materials and shipped in a protected container. The hoods require no additional hardware, work with the stock hinges and latch, and are ready for prep and paint. Installation is as simple as installing a stock hood with very minor to no modifications required. 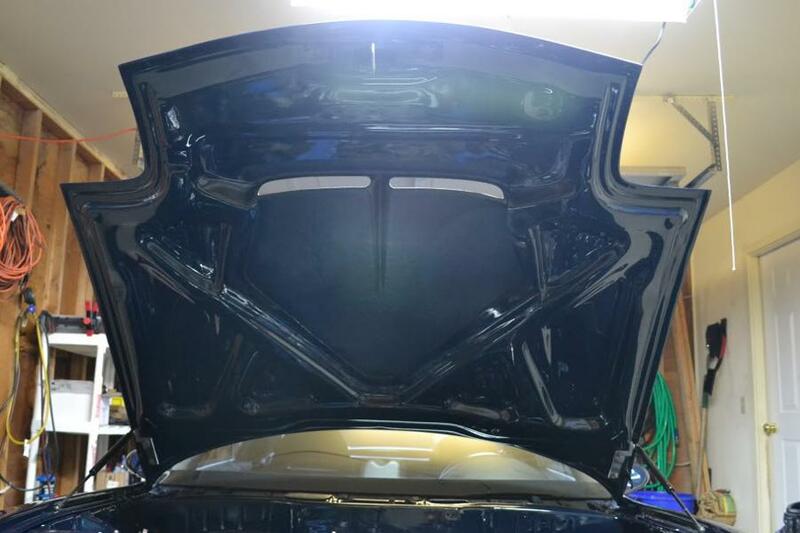 We frequently get calls from owners and bodyshops about the reduced prep necessary to get great final fitment/finish with our hoods. 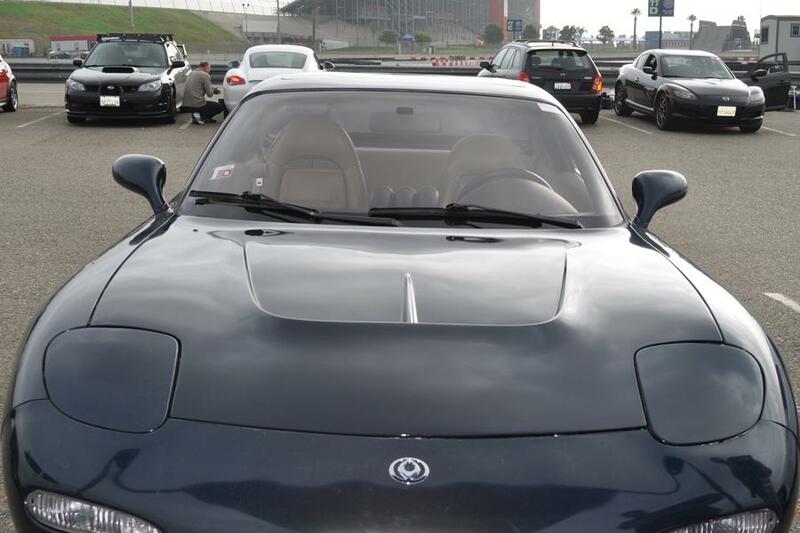 By most accounts these hoods fit better than the original Mazdaspeed hoods. We often get questions comparing pros/cons of Carbon and Fiberglass construction. Carbon will be very slightly lighter but the resin content is similar so weigtht differences are small, however carbon does offer greater strength and stifness for a given laminate. 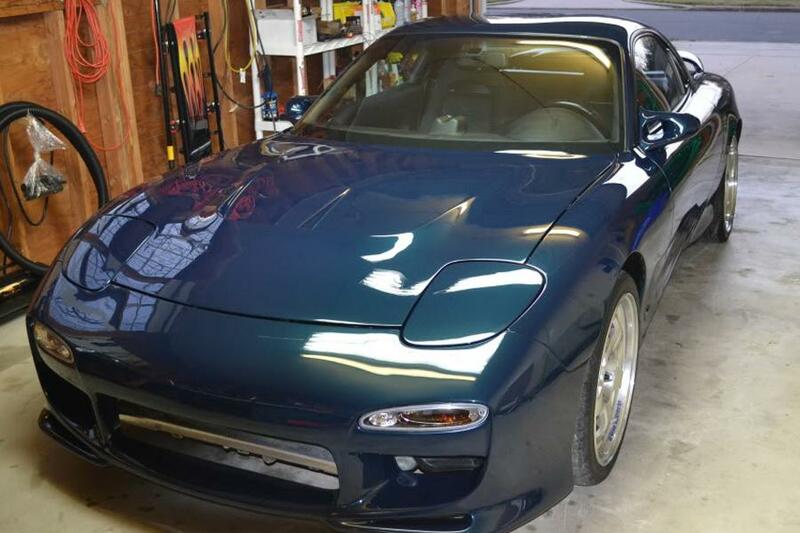 Carbon fiber is also unforgiving for body shop work unless painted. In most applications we recommend Fiberglass.